Sorry, Disneyland fans, prices are increasing. 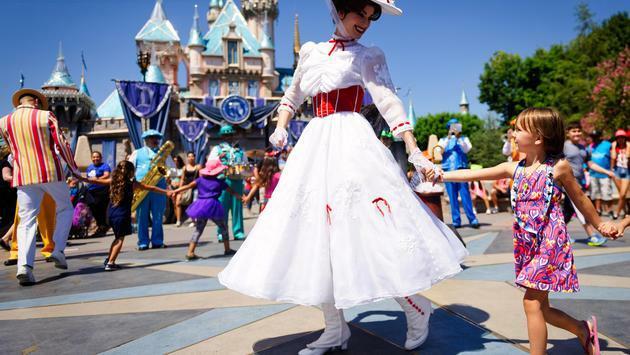 The Los Angeles Times reported that Disneyland Resort announced that ticket prices are increasing by up to 25 percent for daily tickets, annual passes, and parking. The ticket increase took effect Sunday and comes a few months before the scheduled opening of the Star Wars: Galaxy Edge in June and less than a year after the resort hiked up prices by up to 18 percent. The cheapest daily ticket will now be more than $100 and parking prices are rising from $20 to $25. The increase in ticket prices have long been aimed at crowd control, and with the opening of Star Wars: Galaxy Edge which will feature two attractions and a 14-acre expansion, it’s still not clear if tickets price increases will limit the crowds. In 2016, the park adopted a “demand” pricing set up which offers lower prices on days when demand is lower and higher prices on weekends and holidays when more people are off and expected to visit the park. From now on, low-demand day prices will be $104. They were previously $97, making it a 7.2 percent increase. Regular-demand days have risen in ticket prices from $117 to $129 which is a 10.3 percent increase. And on peak-demand days? Tickets will now be $149, a 10.4 percent increase from the previous cost of $135. Annual passes are also increasing. The cheapest annual pass, which blocks out all weekends for most of the summer months as well as fall and winter holidays, will cost $399. That’s an 8.1 percent increase from the previous price of $369. Disney representatives said that more days will be blocked out in 2019 for most annual passholders than they were last year. In fact, 211 days are blocked for the next 12 months. With the price increase and fewer days to attend, it may make some pause on the worthiness of such a pass. The Deluxe Pass and Premier Pass have also increased. The Deluxe Pass, which offers admission to both parks, was previously $729 and is now $799. The Premier Pass adds parking and no-block out dates and it will now cost $1,949 which is a 23.4 percent increase from $1,579.